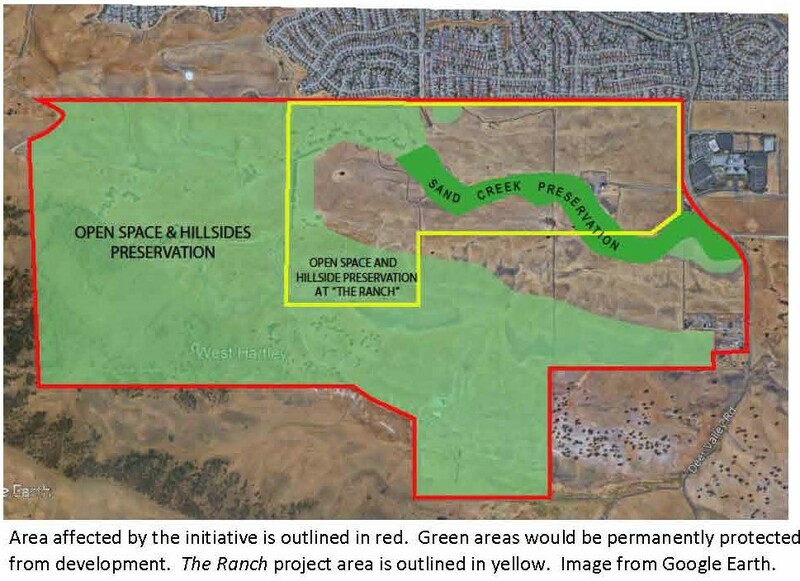 Map of the area included in the environmental groups’ initiative showing projects already approved and The Ranch and Zeka Ranch projects they’re working to stop. The County Elections Office has completed the signature verification on both of the initiatives that were submitted to my office. Map of area covered by the Richland Communities’ alternative initiative. In coordination with the City Attorney, I will prepare a staff report for the July 24th City Council meeting to certify the petitions. 1) Adopt the ordinance, without alteration, at the regular meeting at which the certification of the petition presented, or within 10 days after it is presented. 2) Submit the ordinance, without alteration, to the voters pursuant to Section 1405 of the Elections Code. 3) Order a report pursuant to Section 9212 at the regular meeting at which certification of the petitions is presented. When the report is presented to the legislative body, the legislative body shall adopt the ordinance within 10 days or order an election pursuant to subdivision (b). See related articles here, here, here, here, here and here. This entry was posted on Tuesday, July 3rd, 2018 at 8:40 pm and is filed under News, Politics & Elections, Growth & Development. You can follow any responses to this entry through the RSS 2.0 feed. You can leave a response, or trackback from your own site.